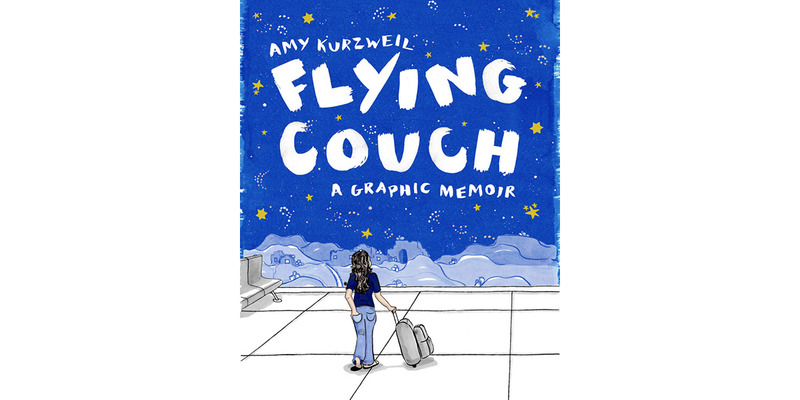 I had a very interesting experience recently when Amy Kurzweil, author of Flying Couch, A Graphic Memoir, spoke at my synagogue, Temple Shalom of Newton, where Amy grew up. The book tells the story of three women: Amy; her mother, a psychologist; and her Bubbe, a Holocaust survivor, who escaped from the Warsaw ghetto at age 13 disguised as a Christian. Other than reading Maus many years ago, I hadn’t read any graphic novels or memoirs before. Bubbe had been extensively interviewed for a project that aimed to capture the stories of Holocaust survivors, and, as I understand it, Amy was able to base her re-telling in part on that interview. But there is something about the way her character and her story are drawn and spelled out in the book that is gripping and captivating. I don’t know how many people access written and recorded interviews of Holocaust survivors, but speaking to Amy after her presentation, I said that her book had made her grandmother’s story accessible and unforgettable. Not surprisingly, I particularly noted references to interfaith marriage in the book. In telling the story of her bat mitzvah, Amy includes a drawing of her dancing with a boy, and her Bubbe’s off-stage voice saying, “is he Jewish?” Later when Amy depicts herself in college, in a phone call Bubbe asks if she still has the Catholic boyfriend. It’s completely understandable where Bubbe is coming from in asking those questions. The book relates how Bubbe first met Dave, the young man she would eventually marry. She was hiding on a farm and was asked to give a boy some bread. Later when the war ended she ran into the boy, who brought her to a group of people who were celebrating Shabbat, including Dave. She asks him if he is Jewish, and they were together from that point on. 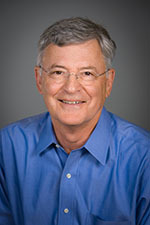 Remembering the Holocaust is something that continues to be extremely important to Jews; the Pew Report found that 73% of respondents said that remembering the Holocaust was an essential part of what being Jewish means. I don’t know if there is data available as to how many Millennial Jews have grandparents who were Holocaust survivors, or how many of those young adults are in interfaith marriages, or not. I’m sure there is a wide range of attitudes and experiences among both the Holocaust survivor grandparents and the young adult Jews who are in those situations. Bubbe and Amy represent one set; just as Bubbe’s “pressures” make sense, Amy’s not being surprised that she’s with a Jewish partner also makes sense. But Amy herself says that she doesn’t see a moral value in Jews limiting themselves to Jewish partners; and given the high rates of interfaith marriage, I expect that many Millennial Jews with Holocaust survivor grandparents have partners from different faith traditions. I would encourage everyone to read The Flying Couch. The stories of Amy, her mother and her Bubbe are compelling, and the graphic medium tells them in an especially interesting way. Interfaith marriage is hardly a focus of the book. But the book and my exchange with Amy Kurzweil raise important questions about how the Holocaust will be remembered in a time of widespread interfaith marriage. This post was originally published by the Center for Radically Inclusive Judaism and is reprinted with permission. << Previous: What Does Pro-Choice Have to Do with Interfaith Marriage?